The Bethania Mennonite Brethren congregation was organized in 1913 under the leadership of John W. Neufeld, with an initial membership of 44. Neufeld, who moved to Vancouver, British Columbia, was succeeded by A. R. D. Klassen and David Berg. The congregation originated through colonization from Manitoba and North Dakota, as well as immigration from Russia. The leader in 1951 was George R. Klassen. In 1950 there were 41 members; in 1965, 11. The congregation dissolved in 1973. The congregation was part of the Herbert (South Saskatchewan) district conference. After dissolution the remaining members joined a nearby Evangelical Mennonite Brethren church. Toews, John A. A History of the Mennonite Brethren Church: Pioneers and Pilgrims. 1975: 160. Available in full electronic text at: https://archive.org/details/AHistoryOfTheMennoniteBrethrenChurch. Epp, Marlene. "Bethania Mennonite Brethren Church (Beaver Flat, Saskatchewan, Canada)." Global Anabaptist Mennonite Encyclopedia Online. February 1989. Web. 19 Apr 2019. http://gameo.org/index.php?title=Bethania_Mennonite_Brethren_Church_(Beaver_Flat,_Saskatchewan,_Canada)&oldid=163412. Epp, Marlene. (February 1989). 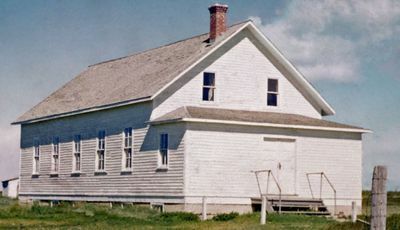 Bethania Mennonite Brethren Church (Beaver Flat, Saskatchewan, Canada). Global Anabaptist Mennonite Encyclopedia Online. Retrieved 19 April 2019, from http://gameo.org/index.php?title=Bethania_Mennonite_Brethren_Church_(Beaver_Flat,_Saskatchewan,_Canada)&oldid=163412. Adapted by permission of Herald Press, Harrisonburg, Virginia, from Mennonite Encyclopedia, Vol. 1, p. 301. All rights reserved. This page was last modified on 9 March 2019, at 01:56.